Couldn't have a better view! I enjoyed my stay immensely. Service was excellent, always came within an hour of calling. My suggestions... Check light bulbs, and the housekeeping could be better. But I would certainly rent this unit again. 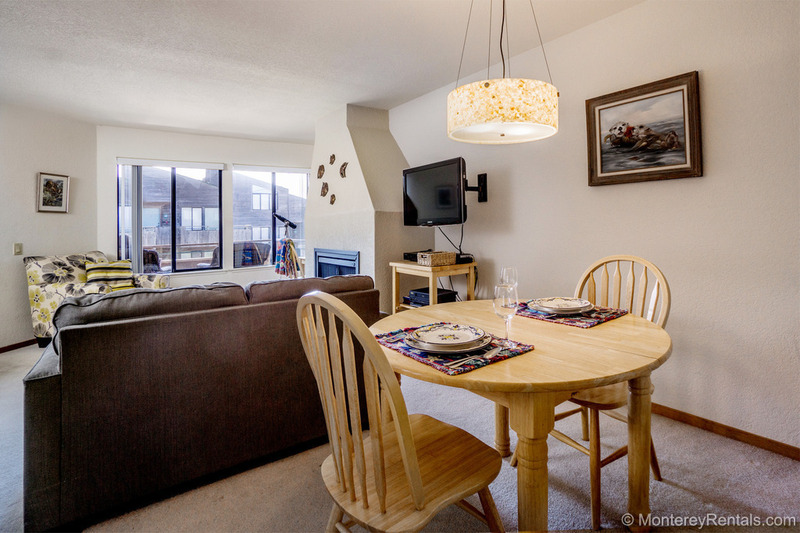 From sea otters to sunsets, it’s hard to find a better view than the one from this oceanfront condo! This two bedroom/two bath unit is located in the most desirable section of Ocean Harbor House, close to the swimming pool and the weight room. It’s completely equipped for your every need: there's a King bed in the master, two twins in the guest room, two full baths, and a washer/dryer for your convenience. The peaceful ambiance of this beachfront complex offers guests a reason to do absolutely nothing—yet the central location is convenient to everything. World-famous Monterey Bay Aquarium, Cannery Row, Fisherman’s Wharf, and the shops and restaurants of Old Monterey are all just minutes away. Tee off at any of the many fine golf courses nearby, explore Carmel, tour 17-Mile Drive, go wine tasting, or hike to secluded Big Sur beaches. You can also walk or bike on the coastal recreation trail—or take long walks on Del Monte Beach, one of the safest on the Peninsula. Ocean Harbor House offers a weight room, two hot tubs, his and hers dry saunas, and two recreation rooms with pool and ping-pong tables. A view you will never tire of! We're delighted you enjoyed your stay. Michelle has been in contact with you to ensure that the property will be spotless for your next arrival!